Lovely gently rolling wooded property. Come build your dream home or log cabin or use for hunting ground. 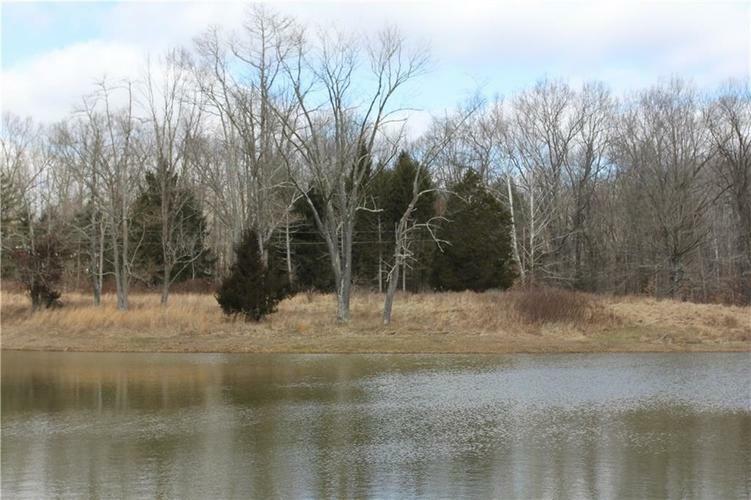 Shared pond stocked with large mouth bass, blue gill and channel cat. Located in northern part of the county. Commute to Indy. Brown County Water, Duke Energy and high speed fiber optic internet are available nearby. Adjoining residential property with AB zoning for commercial use is also available for sale see MLS number 21617903. Directions:From Nashville Take State Road 135 N. Go over train tracks at Railroad Rd. Continue about .3 miles. Drive on right. Take drive back towards house. Vacant acreage begins around gravel parking area to the left.